Citrus is a bar staple and I can’t count the number of lemons, limes and even oranges that I’ve gone through on busy nights. 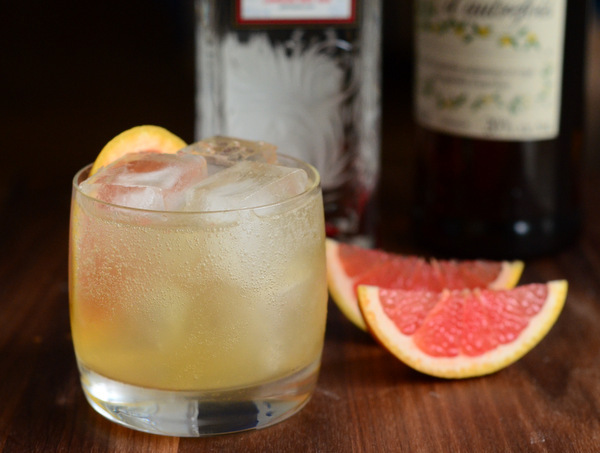 Grapefruit isn’t quite as essential behind the bar because it isn’t used in quite as many cocktails, but it can certainly create a drink that is just as delicious as any other citrus can. Pamplemousse Saison is a cocktail that is excellent for spring, both because it has such a refreshing character and because it features in-season pink grapefruit. It features a blend of gin, Suze, grapefruit juice and a touch of Clement sirop de canne. Suze is quite bitter and works well with the natural bitterness present in the fresh grapefruit juice. The sweet and slightly spicy Clement sirop tempers this bitterness a bit (and you can add a touch more than I did if you want to temper it further). I use Beefeater 24 for this cocktail because one of the botanicals in that gin is grapefruit peel. The aromatics in the gin really flatter the fresh grapefruit juice which, unsurprisingly, blends exceptionally well with it. I almost never use yellow grapefruits. 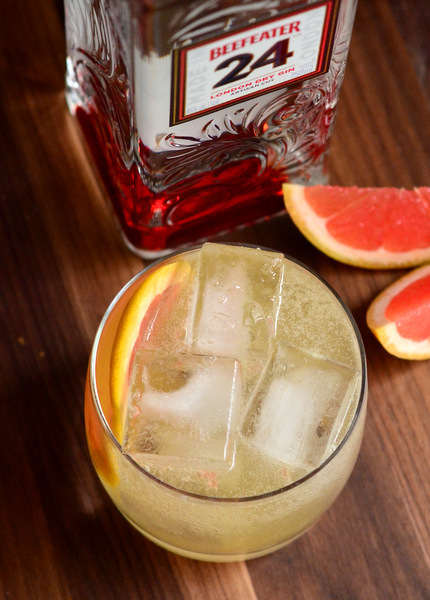 The pink grapefruit has a sweeter flavor and the flesh of the citrus looks much prettier when garnishing a drink. You’re not going to get a pink hue to the cocktail, unfortunately, because we’re not using quite that much citrus here. I enjoy topping this off with a splash of soda water to make the cocktail especially refreshing, but it’s delicious without it, as well. In a mixing glass filled with ice, combine gin, Suze, grapefruit juice and sirop de canne. Shake until well-chilled, then strain into a rocks glass filled with ice. If desired, top with soda water for a bit of effervescence. Garnish with a pink grapefruit wheel.